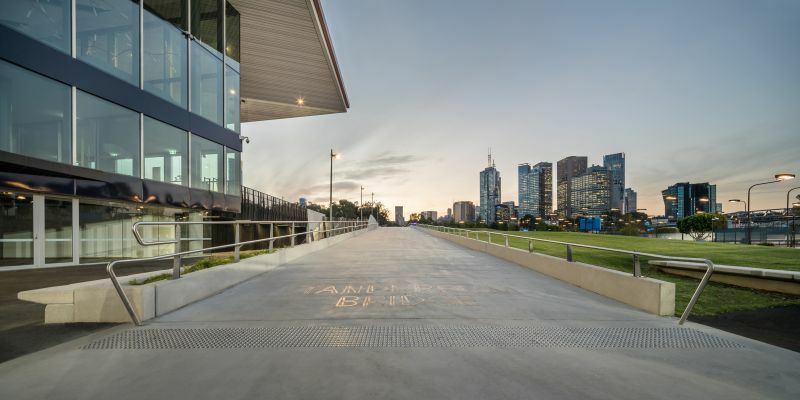 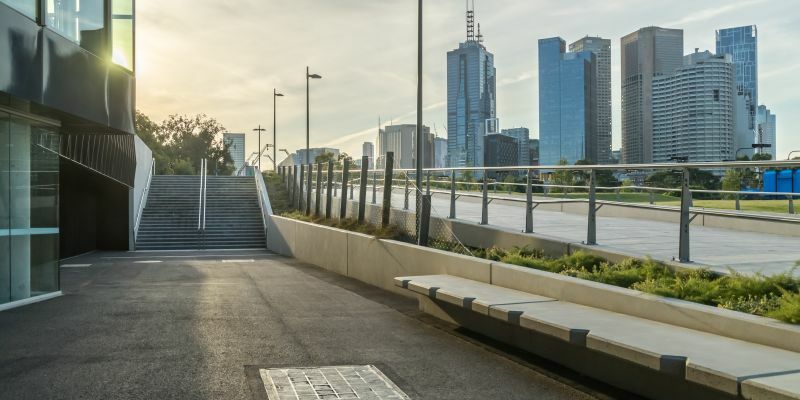 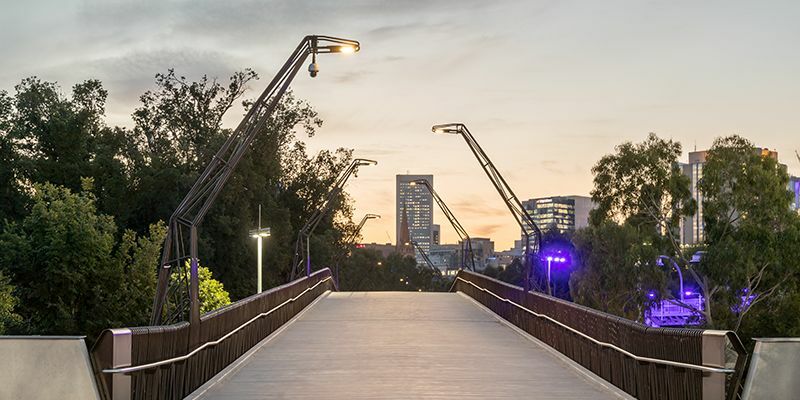 The project involves construction of new pedestrian bridge from Birrarung Marr Park across Batman Avenue into the Margaret Court Arena precinct and associated works. 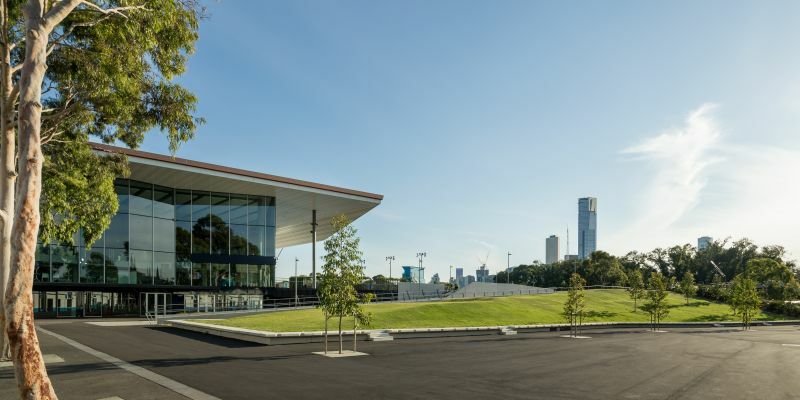 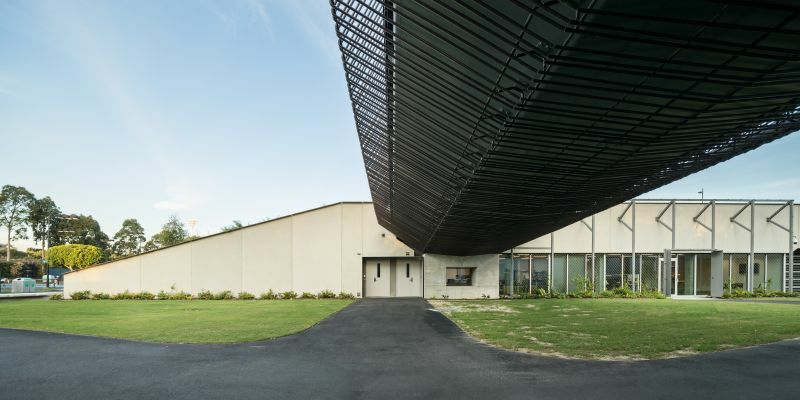 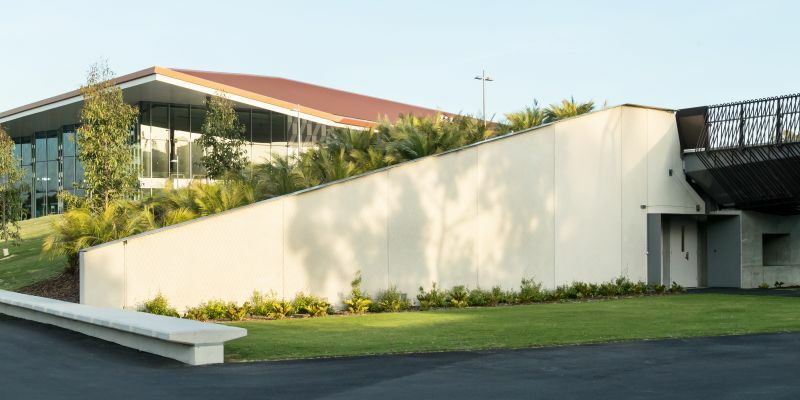 New Tennis Australia administration building. 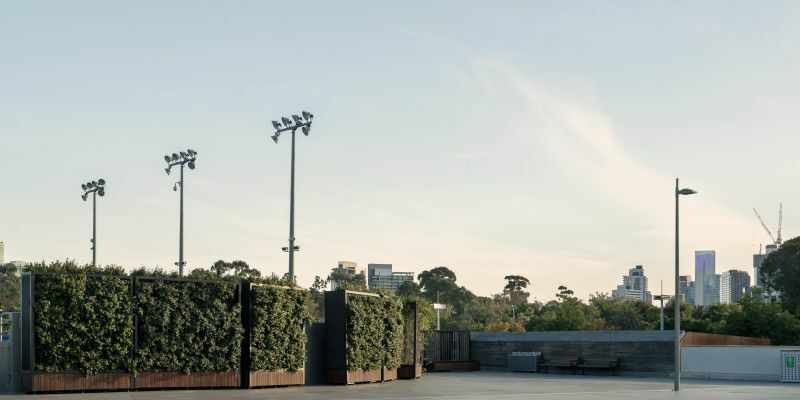 Service stores for grounds keepers. 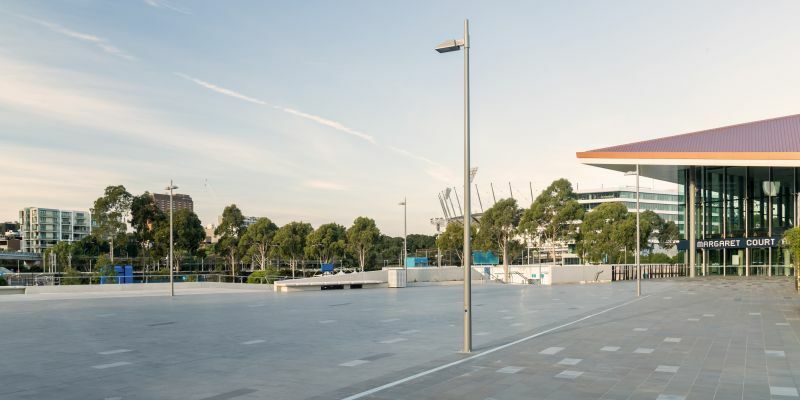 Air-conditioned undercroft carparking which doubles as media space offices during the Australian Open tennis (Australian Open mode AC system). 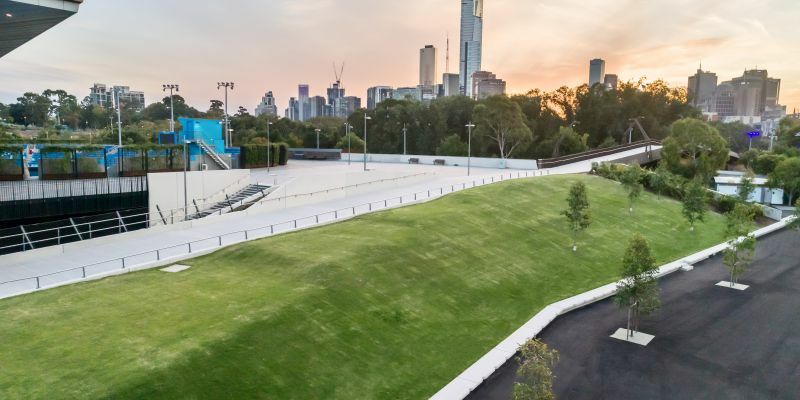 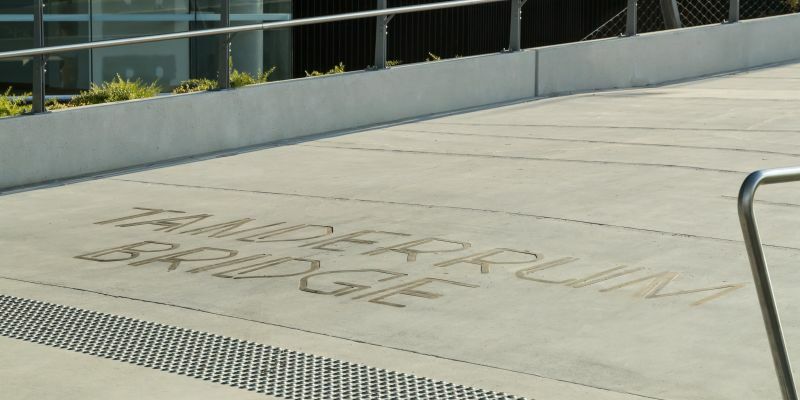 The undercroft extension is generally hidden bunker like behind the ‘berm’ embankment rising from ground level to the roof terrace in the Margaret Court Arena grounds.